About two weeks ago, I got a letter from the registry of motor vehicles. At least I thought it was a letter from them. It was on RMV letterhead, and was a friendly reminder to renew my license, which lapses on my birthday next month. 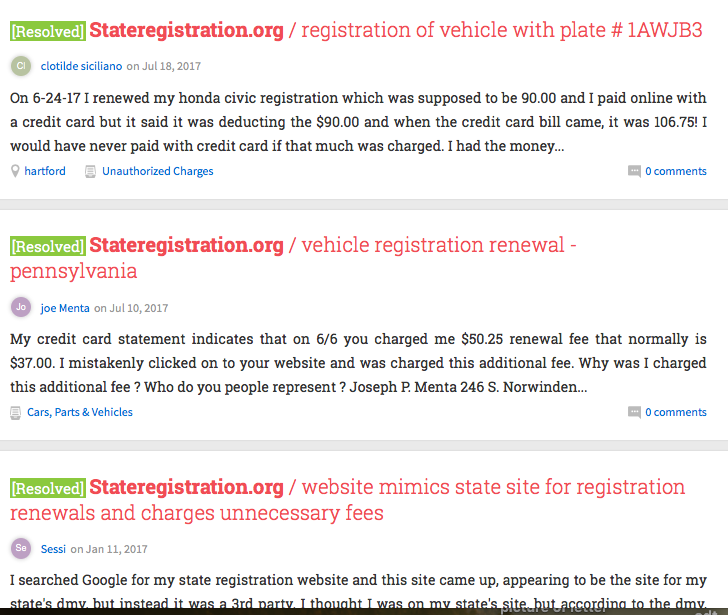 They wanted me to renew my license by going to a website GO ONLINE FIRST it said, go to this website, (mass.gov./RMV) The problem was the website doesn’t belong to the state of Massachusetts, and the helpful guide they offered: DRIVERS LICENSE GUIDE cost something.. Pretty soon I realized that I had been scammed. I hadn’t read the small print on the top of the. page. 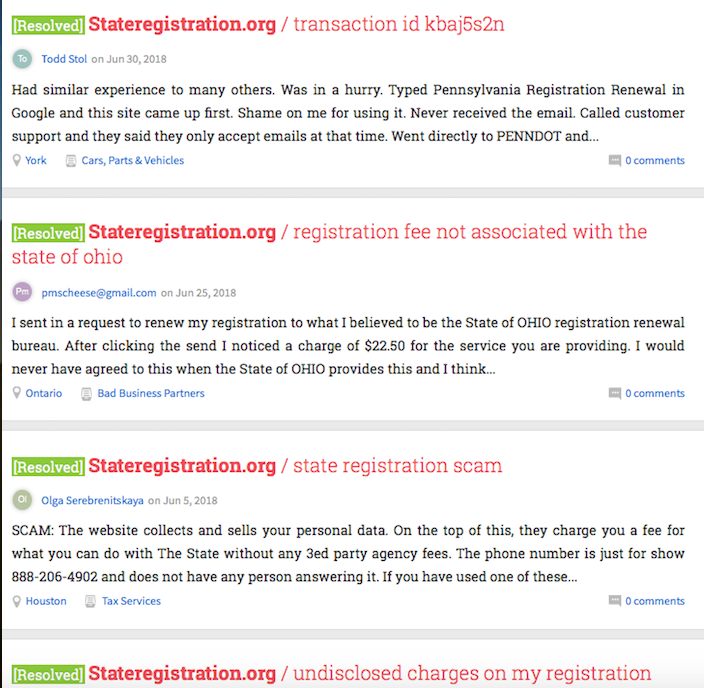 “stateregistration.org is an independent third party and not associated with any government agency”. The guide on a PDF was okay, but didn’t tell me anything I didn’t know, and cost me $28.98 that was promptly charged to my VISA. I filled in all the data fields on the DMV? form, and nothing happened. I think it was a dead site just used for harvesting data. Their booklet told me that I couldn’t renew my license over the web, even though the letter from the DMV wanted me to get on the web. If you’re 75 or older you had to come into the office and get your eyesight tested. So far, this doesn’t really torque me up that much. 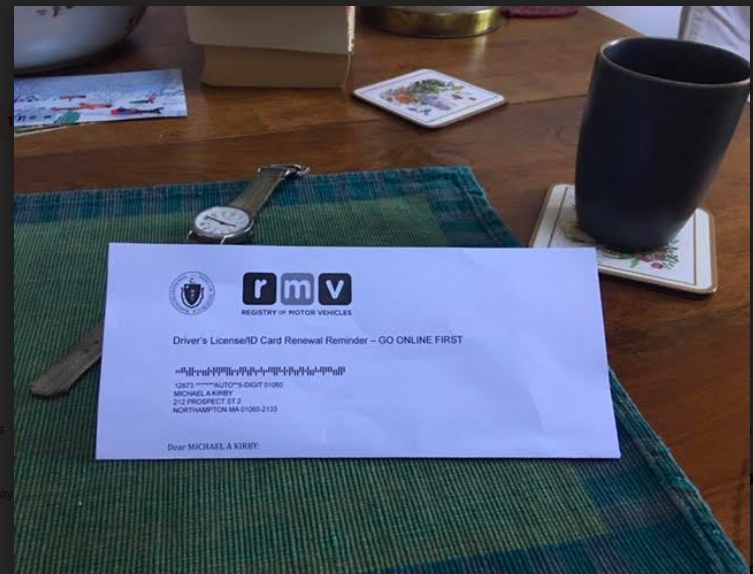 What bothers me and should bother law enforcement, however, was that original letter that came to me on RMV letterhead.It looked as if it had been produced inside RMV using a RMV mailing list. They sent out reminder notes to all Massachusetts drivers whose licenses were expiring and giving us bad information.. What kind of craziness do we have when the DMV sends out a mailing telling its drivers to go to a privately owned website to get help? I smell kick-backs, here. I am going to do a little more investigation. We don’t even have the corporate name behind. this. Next Next post: Another Roundabout?